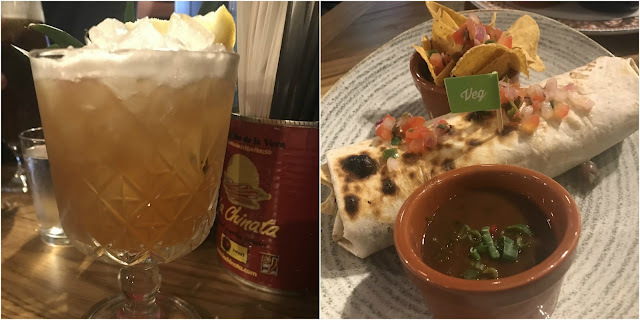 Having enjoyed myself at Revolcion de Cuba in Manchester a handful of times, I was intrigued to how they would bring a taste of Havana to Brum. It is a restaurant that had been on my list since it launched in the city last month, and on a sunny Friday evening recently, I headed there after work to immerse myself in Birmingham's own little corner of Cuba. Sitting on Temple Street among the streets other big chains, Revolucion de Cuba is just a short walk away from both Snow Hill and New Street and being in a super busy area, it is the perfect location to head to to take you from evening into night. Upon arrival, the first thing that hit me was the atmosphere. It was buzzing with everyone from people who had just finished work to hen parties and the place was totally alive; something I hadn't seen from a venue for quite a while. 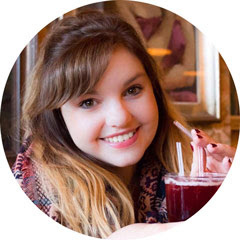 The venue has a huge bar which offers a superb selection of rum and plenty of seating, making it a cool place to head into for a drink or two without feeling pressured to have something to eat too. The decor is super cool, authentic and colourful - everything a place promising to bring Cuba to the city should be. We were shown to our table and immediately started checking out the cocktail menu - and what a menu it was! It boasts classics like Pornstar Martinis and Mojitos right through to super cool options which really pack a punch, like the Carnival Tropicana and Cherry Mai Tai. I went for my all time favourite; the Amaretto Sour, with a Bajan twist. 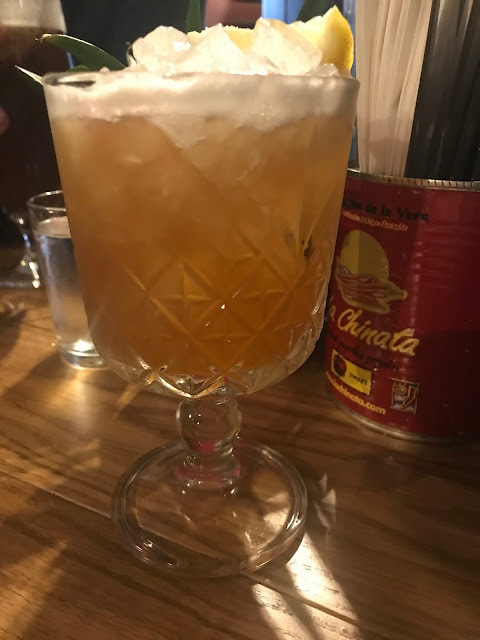 It was delicious and the perfect cocktail to sip on during my meal. We chose our starter and mains from the 2 Courses menu. I understand that this menu wouldn't have as much choice as the main menu - but there really wasn't much selection at all unfortunately. For starter, I chose the Roasted Sweet Potato, which was topped with spinach, peas, sour cream and bacon bits. It was gorgeous and packed full of flavours! My guest chose the Calamari, which was served with garlic aioli and was also a very tasty dish. For main, I chose the Mushroom, Bean and Spinach Burrito which was served with Tortilla Chips and Black Beans. It was delicious and very moreish, but did feel more like a lunch dish than an evening meal. 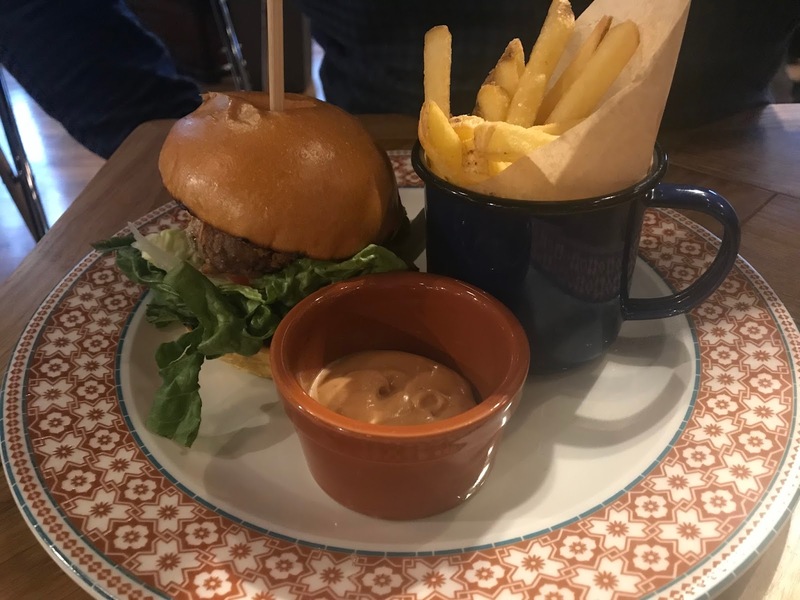 My guest went for the Cuban Cheeseburger, which was served with rum mayo and and fries, which was also very much enjoyed. Now, don't get me wrong, nothing beats a good atmosphere in a restaurant. However, there was a live band on who, although talented, made the venue incredibly loud. So loud in fact that the waiter struggled to hear my orders and it was impossible to have a conversation with my guest. Even when the band took a short break, super loud music boomed out of the speakers and in all honesty, it was just TOO much. I understand that on a Friday night, people are looking for a good time and indeed it does have a brilliant party vibe. However, for me it was just too loud and made my experience there not as fun as I thought it would be, as it was hard to focus on anything but the noise, taking away the focus on the food and drink and more about the party. I love a good party vibe, but even I have a line! As I haven't been in the restaurant on a weeknight or a sleepy Sunday afternoon, I can't comment on if it is loud then also. But on a Friday night, it was just too much all at once. 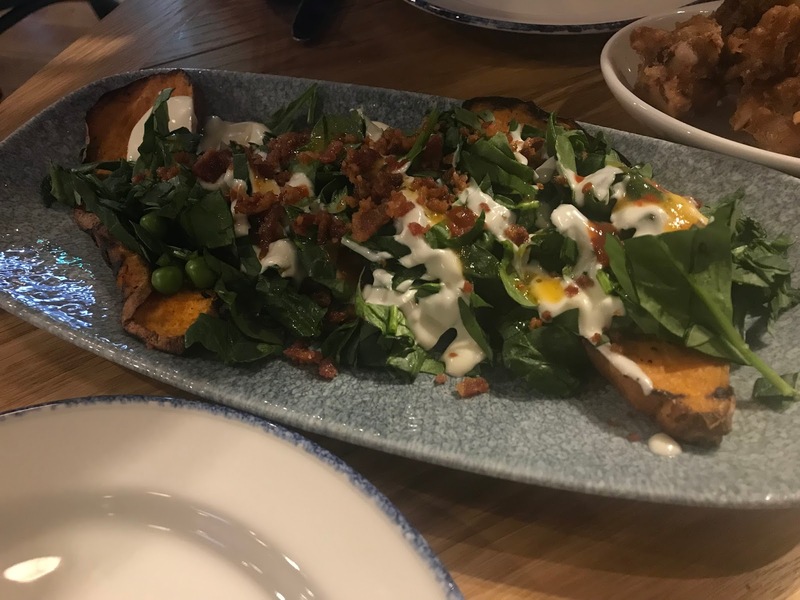 Despite this, the food and drink were tasty and don't get me wrong, the venue is super cool and fun - but more if you're about to go on a night out with friends as the music and atmosphere would be really enjoyable - if that is what you are looking for. 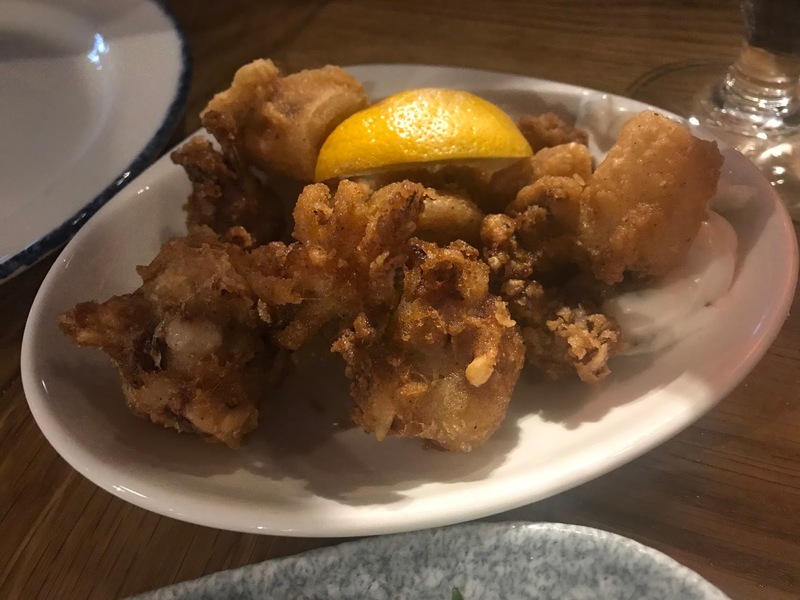 PLEASE NOTE: I am lucky enough to review lots of places across the West Midlands on this blog. 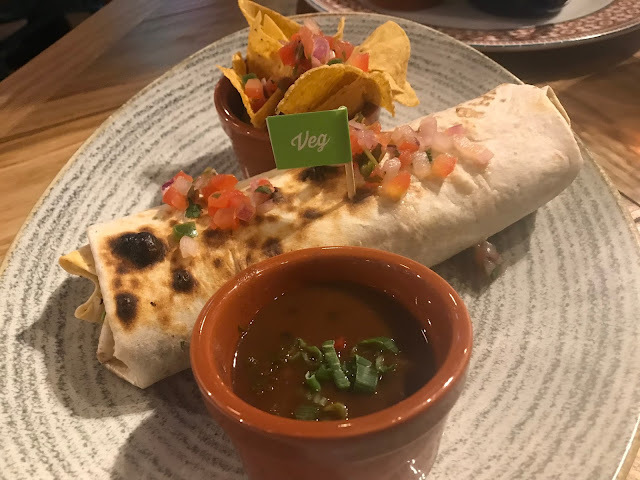 I did not pay for my meal at Revolucion de Cuba and I had been invited to review the venue. All reviews are honest and my personal opinion. I am under no obligation to write a good review if I honestly didn't enjoy the experience.